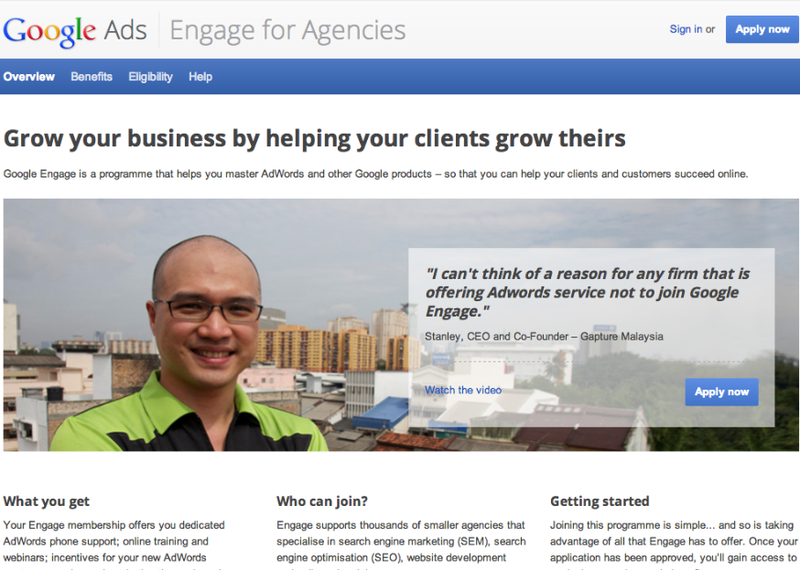 Gapture Malaysia, a Google Partner since 2012, and our CEO is being featured in latest Google Engage video, together with a few other digital agencies in the region. The video was shot at the rooftop of Gapture's office in Pudu (Gapture has moved to Menara PJX since November 2013), the center of Kuala Lumpur. Thank you, Google Team!